2011 MERCEDES-BENZ E-CLASS Printer Friendly Flyer. 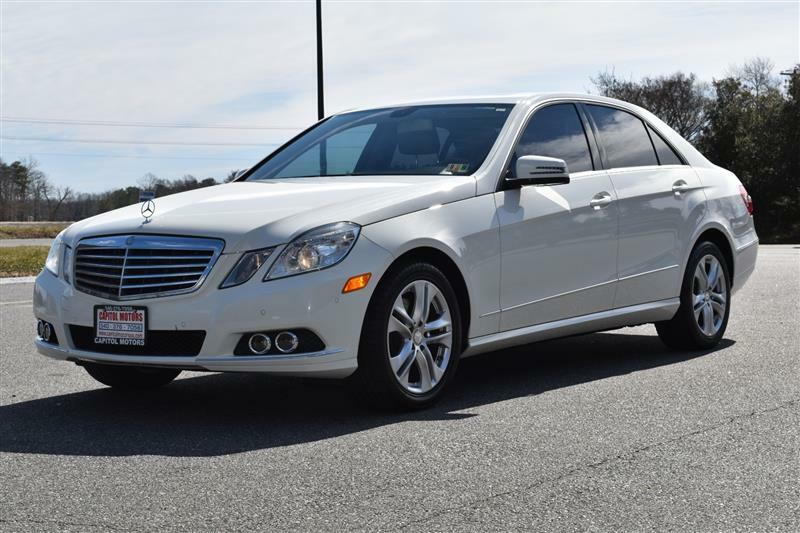 2011 MERCEDES-BENZ E-CLASS with a powerful 3.5L DOHC 24-valve V6 engine and driven only 68395 miles! This lovely Mercedes Benz has low miles and is in great condition! It has bright and shiny fog lights that are perfect for seeing in any kind of weather. The backup sensors will help prevent you from running into anything behind you. The overhead sunroof is perfect in the warm months when you need some fresh air. Keep warm in the freezing months with the heated leather seats. Connect your phone via Bluetooth to your vehicle! This will allow you to play your favorite music on the go or make phone calls on the go. With the easy to use steering wheel controls, you will be able to easily access features without being too distracted from the road. Let's not forget that this vehicle is even CARFAX CERTIFIED with NO reported accidents and No reported accidents to the vehicle. FINANCING IS AVAILABLE! Extended warranties are available! Discounts are available for military personnel and first responders. Contact our Sales Team at 540-376-7056! They can't wait to hear from you today!